Size: Adjustable chain link bracelet up to 19 cm / 7.5 inches. Each charm has a 1 cm / 3/8" lobster claw spring clasp. Buddha lover's bracelet with buddhist symbols of enlightenment bracelet. 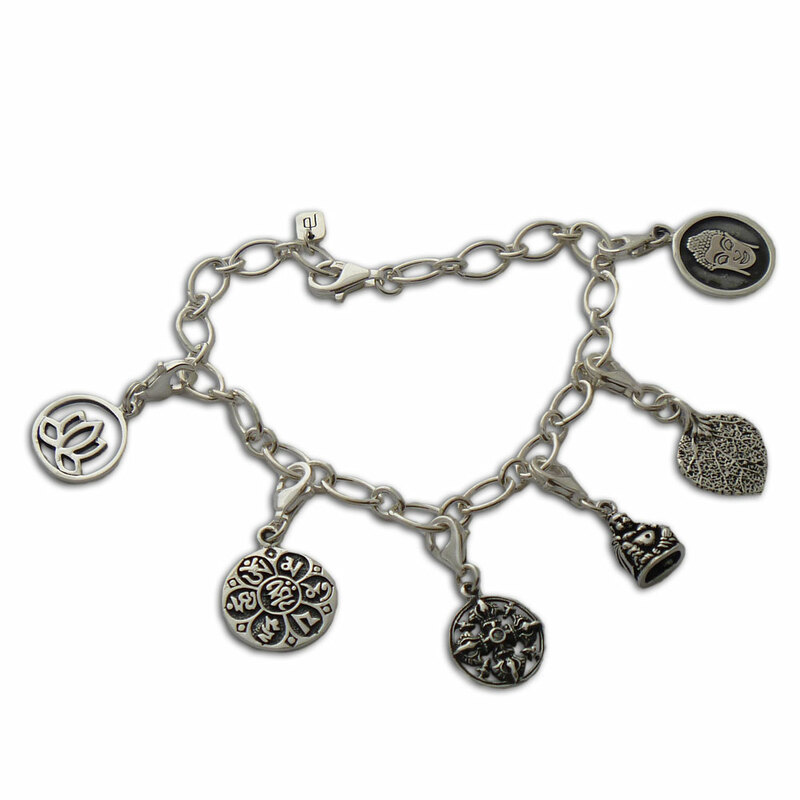 Adjustable bracelet is made of bs418 base bracelet, ch375 lotus enlightenment charm (1.4 cm) , ch347 om mani padme hum charm (1.6 cm), ch924 crossed vajra charm (1.2 cm), ch386 happy buddha charm (1 cm), ch904 bodhi leaf charm (1.2 cm), ch389 buddha portrait charm (1.5 cm).